What's happening in Japan right now? 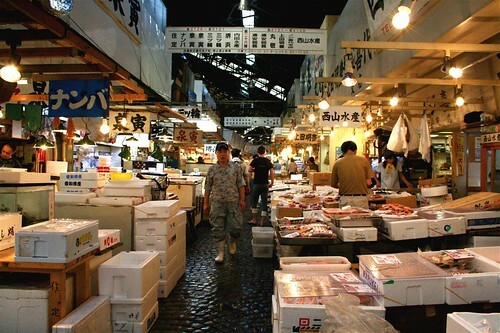 One of the places foreigners loves to go in Tokyo is the Tsukiji Fish Market. Here's a video of me taking some visitors to Tsukiji. If you go really early in the morning by 5:30AM or so (I heard it was finished when someone went there at 6AM), you might be able to see the huge Tuna auction. The color of the ribbon represents the level of the tuna. 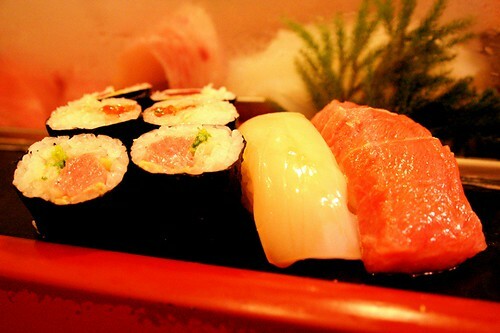 Or, of course you can try out one of the sushi restaurants in the fish market. 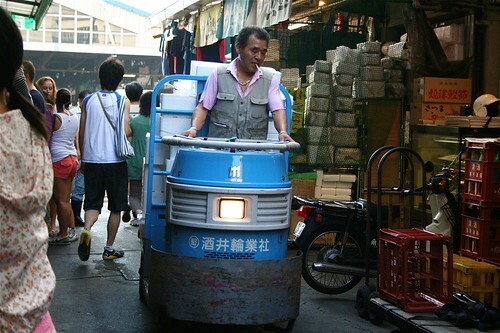 When you walk around in the market, make sure you be careful not to be in the way of the people working there... they will be riding a vehicle like this and it's moving quite fast so be careful! 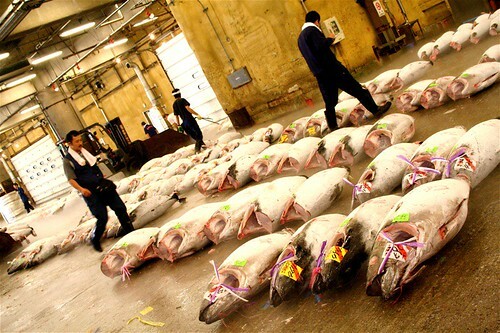 Unfortunately, Tsukiji Fish Market is planned to be moving out in 2012. 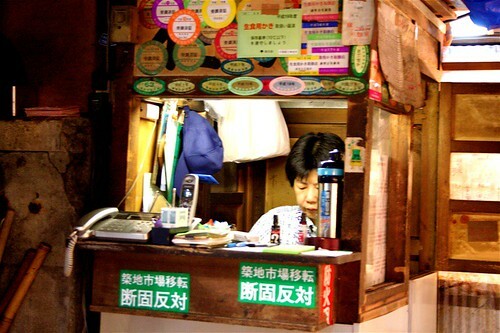 The green stickers under the counter says she is against the move. Recently oil price has sky rocketed, and the oil for the fishing boats has risen by 300% in the past 5 years. 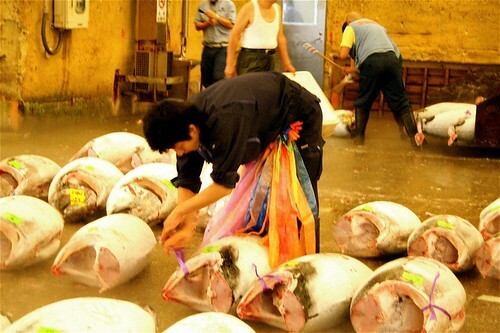 The fish industry did a nation-wide one-day non-fishing day on 7/15 to apeal to the government to take necessary countermeasures. Some people feared that this will raise the fish price- which didn't happen. 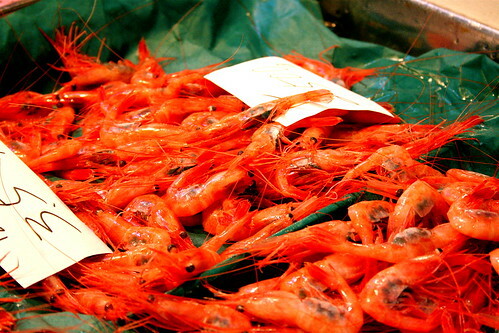 They couldn't raise the fish price as the price is controlled more by the distributers, and also the fishing industry feared that if fish price was raised, the households will start avoiding to eat fish- which would in the end damage the industry.